Getting new campers each year is essential for growing our young camp program. 2017 will be our 6th summer and it is amazing how 'established' we have become in such a short time. We are testing out a bit of print advertising this year so hopefully families that would not otherwise find us online may stumble across our ad! 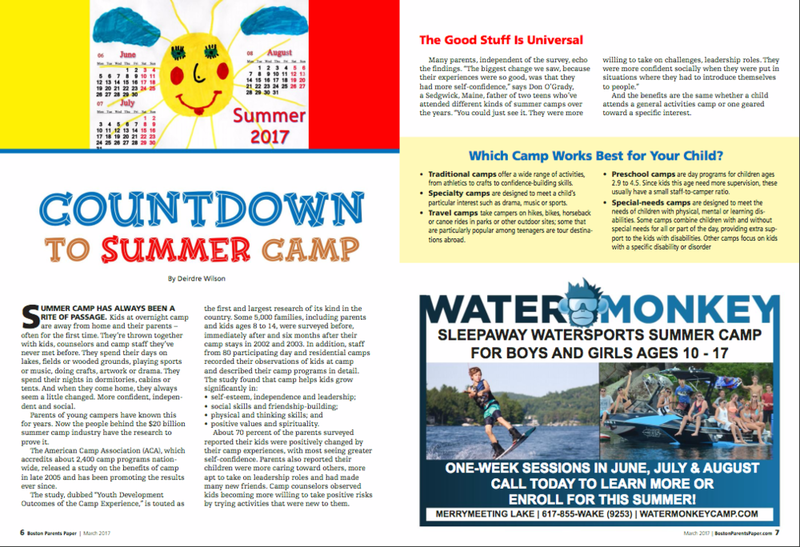 Below is a link to the Boston Parents Paper Northeast Camp Guide where we have a half page ad on page seven! Here is a screenshot of that page but definitely give the entire guide a read for some relevant articles! WooHoo! Our ad is awesome!